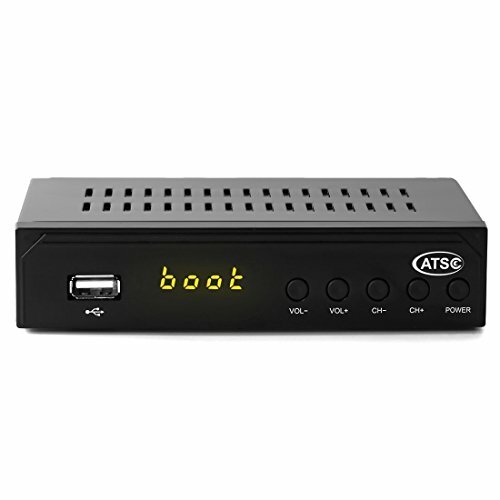 Free Local TV Channel: Leelbox ATSC digital TV converter box receive over-the-air ATSC digital TV broadcast to your analog TV. Full HD: The 1080p output resolution allows you to watch and record free to air television in full HD quality. MultiMedia Playback: You can select view Photos, play MP3 music files and view movie files,and recorded TV program from your USB storage device. TV Recording Function: The PVR allows you to record TV programs in USB hard drive and play back on your TV or Computer. (USB flash drive is not recommended for recording) function. This converter box is for receive Over-The-Air signal, it is not a replacement of cable box,it need to connect to External Antenna to receive signal. If you have any questions about this product by Leelbox, contact us by completing and submitting the form below. If you are looking for a specif part number, please include it with your message.